Silver Eagle Restaurant is not a lavish eating place. It’s more sort of a cafeteria style venue and produces delicious and worthy Pakistani and Asian food. 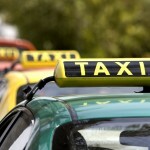 Therefore, it has pretty casual settings, where staff provides decent service as well. You can find a good variety of Pakistani dishes on reasonable rates at this venue. The restaurant offers decent portions of karhais, handis, rice, bbq and etc. 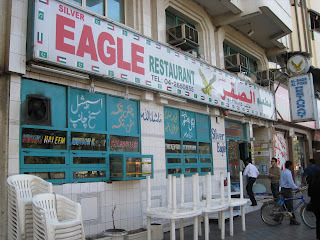 Because of the quality food and exceptional services, Silver Eagle Restaurant is quite famous among the locals especially among the working class, who keep this place busy often during lunch hours. Besides various Asian fares, this eatery also serves authentic Pakistani cuisine including different karhais, curries, salads, soups, bbq, seafood, vegetable dishes, hot oven items and etc. Private dining area facility is also available at this restaurant, apart from the main dining hall. In addition to this, take out service is also offered to the clients to enjoy the freshly prepared Pakistani food of this bistro. See the delicious varieties on the menu of Silver Eagle Restaurant from here. Silver Eagle Restaurant opens daily from 10:00 am to 10:00 pm and serves breakfast, brunch, lunch and dinner during this period. Opposite Deira Sheraton Hotel, Al Muteena Street, Deira, Dubai, United Arab Emirates. 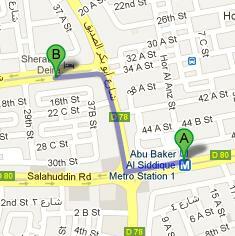 Abu Baker Al Siddique Metro Station 1 is 12 minutes walk and 900 meters journey from the Silver Eagle Restaurant. By walk, it takes around 12 minutes. You need to head west on Salahuddin Road/D 80 that goes towards Hor Al Anz Street, from this metro station and then turn right onto Abu Baker Al Siddique Road/D 78. After that you should turn left onto Al Muteena Street where you can find your destination. Through bus number C7 patrons of Silver Eagle Restaurant can easily arrive at Deira Sheraton Hotel 1 – Dubai bus stop that is barely 34 meters away from it and can be covered in about 24 seconds on foot. If a bus passenger heads out in the west course on Al Muteena Street towards 29th Street from Deira Sheraton Hotel 1 – Dubai. Check map for directions.